The biological septic tank is professional and thoroughly purify the high concentration of sewage, quickly realize sewage discharging standard . Biological septic tank is a revolutionary product for sewage treatment, changes the past simple and inefficient way of disposing of septic tanks and long expensive municipal wastewater treatment process, new structure design and efficient strains make no clear cut glass fiber reinforced plastic septic tanks biological quickly and thoroughly purify the high concentration of sewage, can completely replace the traditional septic tank, and without the in situ discharging standard of sewage treatment plant effluent can be realized.From qing tao integrated biological septic tank septic tank for waste storage, initial decomposition and the advantage of the sewage treatment plant deep purification function, and to avoid the traditional septic tank sewage overflow, insect breeding, frequent qing tao, and many other shortcomings, also be exempted from the concentration of sewage processing required for the higher cost of the pipe laying and long-distance transportation.In the era of people-oriented, ecological and environmental protection requirements, in situ disposal become the development trend of sewage treatment, and no clear cut biological septic tank is definitely the best choice of the domestic sewage in situ treatment. This product consists of two parts, crushing and processing, the diaphragm cell body can be divided into 3 rooms, 1 room for crushing mediation room, through crushing device into the second chamber after crushing will bulk solid, increase water mixture and the contact area of microorganism, the second room for biochemical treatment room, built-in new efficient spherical suspended filler, enrichment of microorganism and crushing water mixture contact make its degradation, after processing of the upper sewage by diverting tube into the third ventricular water and then discharge. 1. no clear cut design is the representative of the traditional sewage treatment septic tank, but only the large particle contamination intercept, and it is hard to break it down, reduction, a long time can produce a large amount of sludge sedimentation, lead to pipeline blockage, need to clear out several times every year, if clear cut fails to timely the manure, the stink.And from qing tao unique to biological septic tanks from qing tao design can greatly reduce the sludge production, solve congestion, no clear cut. 2. professional microbial strains is the foundation of all efficient biochemical treatment has the purification function of microorganisms and their enzymes.Our company work closely with the domestic first-class university scientific research units of microbes, aim at the characteristic of domestic sewage, screening of a series of independent intellectual property rights, specially the rapid degradation of organic matter series of microbial strains and enzyme preparation, the development and application of these strains quick start, stable operation, ensure the glass fiber reinforced plastic septic tank effluent is guaranteed. 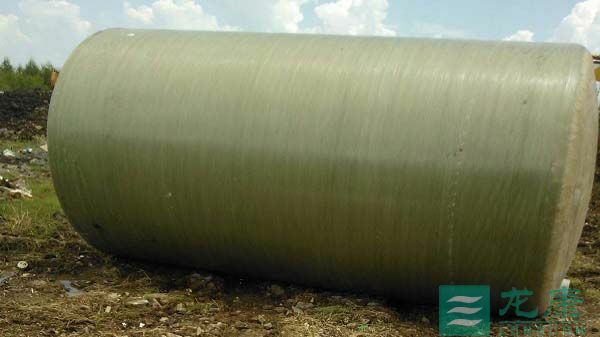 3. operation cost is low from qing tao FRP biological septic tanks operating cost only 1 yuan per person per year, basic don't need to black out and so on maintenance work, and don't need to build the pipe to the sewage treatment plant, low comprehensive cost. 4. humanized design, convenient maintenance qing tao biological septic tanks in May need maintenance parts have manholes, prefabricated in May pile up the location of the sludge have smoke pipe, maintenance is very convenient.Even biochemical treatment under the condition of the equipment running in for months, from the qing tao biological septic tank water is still open, not block is full, effluent is better than that of the same type of septic tanks. 5. high quality manufacturing materials from qing tao biological septic tank use high quality glass fiber manufacturing, quality is light, convenient installation, naisuanjian corrosion, no leakage, high compressive strength.